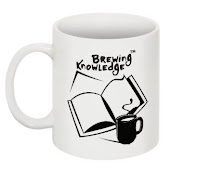 Brewing Knowledge: How we can help you? Personal and Social Development of an individual. Focus on skills builds employability. Teachers are groomed to be leaders and mentors. The parents and the community are involved. Use of latest technology and update the curriculum. English proficiency and better communication. To make the services readily available for charities with a mission of 'providing affordable quality education', we have a unique subscription plan of Rs. 25,000.00 per month. Our monthly subscription plan provides mentoring for the school leadership, brings about awareness online and helps deliver a sustainable development model for the social enterprise. Service delivery is by phone, email, chat, blogs and other social media. We even visit our partner schools and help train staff on campus, call us for details and other plans for school development consulting, please.